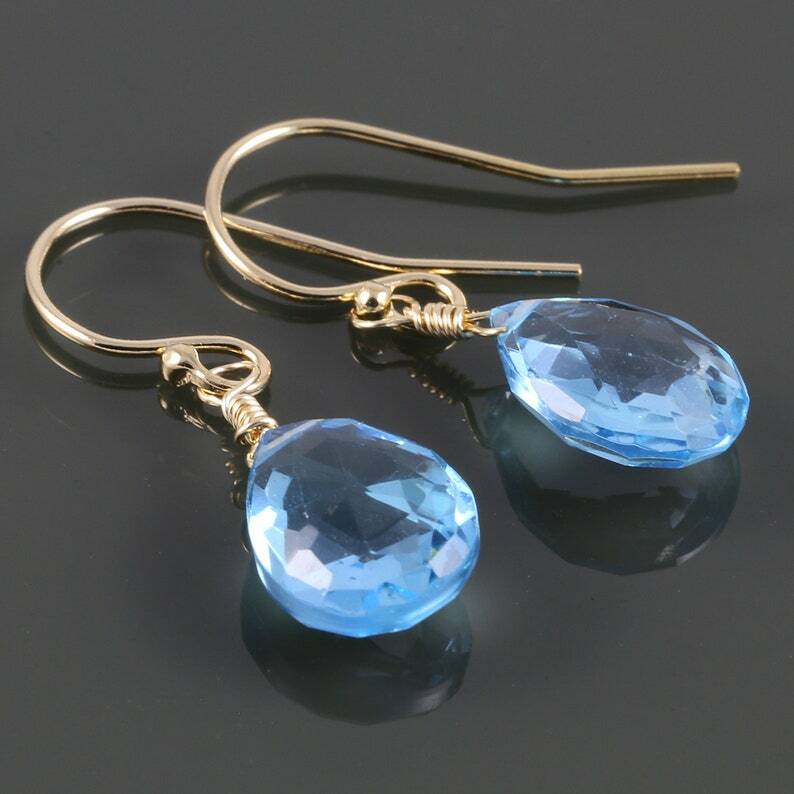 Each of these earrings has a single genuine Swiss blue topaz gemstone dangling from yellow gold-filled ear wires. The gemstones are a faceted teardrop shape. They are a transparent vivid blue, and they measure about 7.5x10.5mm. These earrings measure about 1 inch (2.5cm) in overall length. Gold-filled metal is made by heat and pressure bonding a solid layer of gold over another metal (such as brass). This is different than gold-plated metal, which is made by electroplating a very, very thin layer of gold over another metal. 14/20 gold-filled metal has a layer of 14 karat gold that makes up 1/20 of the volume of the metal (or 5%). I like gold-filled because it is an affordable alternative to to karat gold, while still being durable and dependable. It is a quality metal for jewelry.